The Republic of Dagestan ( or ; Russian: Респу́блика Дагеста́н, Respúblika Dagestán, رِېصپُبڵىقا داگېصطان), also spelled Daghestan, is a federal subject (a republic) of Russia, located in the North Caucasus region. Its capital and largest city is Makhachkala, located at the center of Dagestan on the Caspian Sea. With a population of 2,910,249, Dagestan is very ethnically diverse and Russia's most heterogeneous republic, with none of its several dozen ethnicities and subgroups forming a majority. Largest among these ethnicities are the Avar, Dargin, Kumyk, Lezgian, Laks, Azerbaijani, Tabasaran and Chechen. Ethnic Russians comprise about 3.6% of Dagestan's total population. Russian is the primary official language and the lingua franca among the ethnicities. Dagestan has been a scene of Islamic insurgency, occasional outbreaks of separatism, and ethnic tension since the 1990s. According to International Crisis Group, the militant Islamist organization Shariat Jamaat is responsible for much of the violence. Much of the tension is rooted in an internal Islamic conflict between traditional Sufi groups advocating secular government and more recently introduced Salafist teachers preaching the implementation of Sharia in Dagestan. The word Dagestan is of Turkish and Persian origin. Dağ means 'mountain' in Turkish and -stan is a Persian suffix meaning 'land'. Some areas of Dagestan were known as Albania, Lezgistan, Avaria, and Tarkov at various times. The name Dagestan referred to Dagestan Oblast during 1860 to 1920, corresponding to the southeastern part of the present-day Republic. The current borders were created with the establishment of the Dagestan Autonomous Soviet Socialist Republic in 1921, by inclusion of the eastern part of Terek Oblast, which is not "mountainous" at all but includes the Terek littoral at the southern end of the Caspian Depression. The republic is situated in the North Caucasus mountains. It is the southernmost part of Russia, and is bordered on its eastern side by the Caspian Sea. Dagestan has about 405 kilometers (252 mi) of coast line on the Caspian Sea. Most of the Republic is mountainous, with the Greater Caucasus Mountains covering the south. The highest point is the Bazardüzü/Bazardyuzyu peak at 4,470 meters (14,670 ft) on the border with Azerbaijan. The southernmost point of Russia is located about seven kilometers southwest of the peak. Other important mountains are Diklosmta (4.285 m), Gora Addala Shukgelmezr (4.152 m) and Gora Dyultydag (4.127 m). 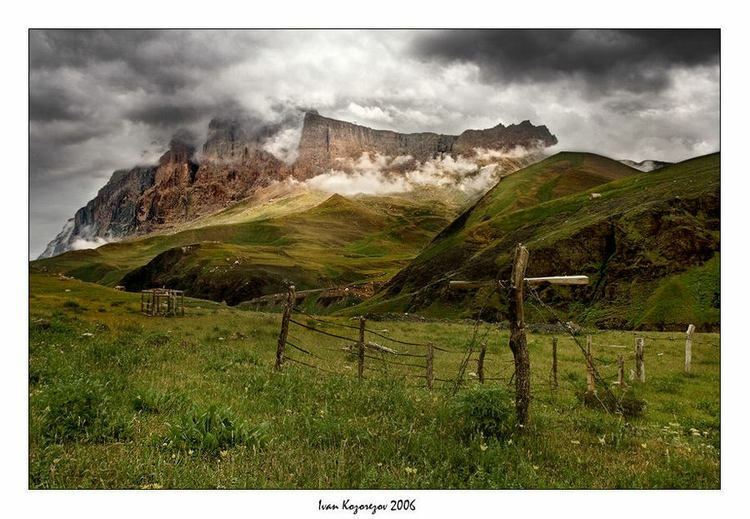 Dagestan is rich in oil, natural gas, coal, and many other minerals. The climate is hot and dry in the summer but the winters are harsh in the mountain areas. Average annual precipitation: 250 mm (10 in) (northern plains) to 800 mm (31 in) (in the mountains). Dagestan is administratively divided into forty-one districts (raions) and ten cities/towns. The districts are further subdivided into nineteen urban-type settlements, and 363 rural okrugs and stanitsa okrugs. In the first few centuries AD, Caucasian Albania (corresponding to modern Azerbaijan and southern Dagestan) became a vassal and eventually subordinate to the Parthian Empire. With the advent of the Sassanian Empire, it became a satrapy (province) within the vast domains of the empire. In later antiquity, it was a few times fought over by the Roman Empire and the Sassanid Persians as the former sought to contest the latter's rule over the region, without success. Over the centuries, to a relatively large extent, the peoples within the Dagestan territory converted to Christianity alongside Zoroastrianism. In the 5th century AD, the Samian peregrinations took place from Ukraine to this land, they returned to their natal country by 150 BC. The Sassanids gained the upper hand and constructed a strong citadel at Derbent, known henceforward as the Caspian Gates, while the northern part of Dagestan was overrun by the Huns, followed by the Caucasian Avars. During the Sassanian era, southern Dagestan became a bastion of Iranian culture and civilisation, with its centre at Derbent, and a policy of "Persianisation" can be traced over many centuries. 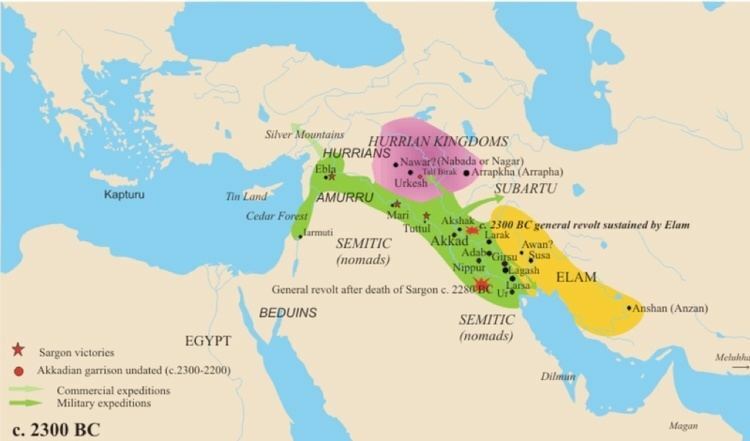 In 664, the Persians were succeeded in Derbent by the Arabs, who in the 8th century repeatedly clashed with the Khazars. Although the local population rose against the Arabs of Derbent in 905 and 913, Islam was eventually adopted in urban centers, such as Samandar and Kubachi (Zerechgeran), from where it steadily penetrated into the highlands. By the 15th century, Albanian Christianity had died away, leaving a 10th-century church at Datuna as the sole monument to its existence. As Mongolian authority gradually eroded, new centers of power emerged in Kaitagi and Tarki. In the early 16th century the Persians (under the Safavids) reconsolidated their rule over the region, which would, intermittently, last till the early 19th century. In the 16th and 17th centuries, legal traditions were codified and mountainous communities (djamaats) obtained a considerable degree of autonomy, while the Kumyk potentates (shamhals) asked for the Tsar's protection following the Russo-Persian War (1651–53), despite a Russian loss. The Russians intensified their hold in the region for the first time in the 18th century, when Peter the Great annexed maritime Dagestan from Safavid Persia in the course of the Russo-Persian War (1722–23). The territories however were returned to Persia in 1735 per the Treaty of Ganja. Between 1730 and the early course of the 1740s, following his brother's murder in Dagestan, the new Iranian ruler and military genius Nader Shah led a lengthy campaign in swaths of Dagestan in order to fully conquer the region, which was met with considerable success, although he was eventually inflicted several decisive defeats by various of the ethnic groups of Dagestan, fording him to retreat with his army. From 1747 and on, the Iranian ruled part of Dagestan became administered through the Derbent Khanate, with its centre at Derbent. The Persian Expedition of 1796 resulted in the Russian capture of Derbent in 1796. However, the Russians were again forced to retreat from the entire Caucasus following internal governmental problems, making Iran recapture the territory again. In 1806 the khanate voluntarily submitted to Russian authority, but it was not until the aftermath of the Russo-Persian War (1804-1813) that Russian power over Dagestan was confirmed, and that Qajar Iran officially ceded the territory to Russia. In 1813, following Russia's victory in the war, Iran was forced to cede southern Dagestan with its principal city of Derbent, alongside other vast territories in the Caucasus to Russia, conform the Treaty of Gulistan. The 1828 Treaty of Turkmenchay indefinitely consolidated Russian control over Dagestan and removed Iran from the military equation. The Russian administration, however, disappointed and embittered the highlanders. The institution of heavy taxation, coupled with the expropriation of estates and the construction of fortresses (including Makhachkala), electrified highlanders into rising under the aegis of the Muslim Imamate of Dagestan, led by Ghazi Mohammed (1828–32), Gamzat-bek (1832–34) and Shamil (1834–59). This Caucasian War raged until 1864. Dagestan and Chechnya profited from the Russo-Turkish War (1877–78), to rise together against Imperial Russia for the last time (Chechnya rose again various times throughout the late 19th and 20th centuries). 21 December 1917 Ingushetia, Chechnya, and Dagestan declared independence from Russia and formed a single state "United Mountain Dwellers of the North Caucasus" (also known as Mountainous Republic of the Northern Caucasus) which was recognized by major world powers. The capital of the new state was moved to Temir-Khan-Shura (Dagestan) The first prime minister of the state was elected Tapa Chermoyev a Chechen prominent statesman, second prime minister was elected an Ingush statesman Vassan-Girey Dzhabagiev who also was the author of the Constitution of the land in 1917, in 1920 he was reelected for the third term. In 1921 Russians attack and occupy the country and forcefully join in to the Soviet state. Caucasian war for independence continues the government goes into exile. After the Bolshevik Revolution, Ottoman armies occupied Azerbaijan and Dagestan and the region became part of the short-lived Mountainous Republic of the Northern Caucasus. After more than three years of fighting White movement and local nationalists, the Bolsheviks achieved victory and the Dagestan Autonomous Soviet Socialist Republic was proclaimed on January 20, 1921. Nevertheless, Stalin's industrialization largely bypassed Dagestan and the economy stagnated, making the republic the poorest region in Russia. In 1999, an Islamist group from Chechnya, led by Shamil Basayev and Ibn Al-Khattab, launched a military invasion of Dagestan, with the aim of creating an "independent Islamic State of Dagestan". The invaders were driven back by Russian military. As a retaliation, Russian forces subsequently reinvaded Chechnya later that year. Violence in the Republic exploded from the beginning of 2010 to the end of 2012. This upsurge led many people to claim that Dagestan was about to enter into a situation of sectarian civil war. Dagestan became the epicenter of violence in the North Caucasus with Makhachkala, Kaspiisk, Derbent, Khasavyurt, Kizlyar, Sergokala, Untsukul, and Tsumada all becoming hotbeds of militant activities. The Parliament of Dagestan is the People's Assembly, consisting of 72 deputies elected for a four-year term. The People's Assembly is the highest executive and legislative body of the republic. The Constitution of Dagestan was adopted on July 10, 2003. According to it, the highest executive authority lies with the State Council, comprising representatives of fourteen ethnicities. The members of the State Council are appointed by the Constitutional Assembly of Dagestan for a term of four years. The State Council appoints the members of the Government. The ethnicities represented in the State Council are Avars, Dargins, Kumyks, Lezgins, Laks, Azerbaijanis, Tabasarans, Russians, Chechens, Nogais, Aguls, Rutuls, Tsakhurs and Tats. Formerly, the Chairman of the State Council was the highest executive post in the republic, held by Magomedali Magomedovich Magomedov until 2006. On February 20, 2006, the People's Assembly passed a resolution terminating this post and disbanding the State Council. Russian President Vladimir Putin offered the People's Assembly the candidature of Mukhu Aliyev for the newly established post of the President of the Republic of Dagestan. The nomination was accepted by the People's Assembly, and Mukhu Aliyev became the first President of the republic. On 20 February 2010 Aliyev was replaced by Magomedsalam Magomedov. The current Head of the republic is Ramazan Abdulatipov (acting until 2013, following the resignation of Magomedov). Because its mountainous terrain impedes travel and communication, Dagestan is unusually ethnically diverse, and still largely tribal. It is Russia's most heterogeneous republic. Dagestan's population is rapidly growing. Population: 2,910,249 (2010 Census); 2,576,531 (2002 Census); 1,802,579 (1989 Census). The people of Dagestan include a large variety of ethnicities. According to the 2010 Census, Northeast Caucasians (including Avars, Dargins, Lezgins, Laks and Tabasarans) make up almost 75% of the population of Dagestan. Turkic peoples, Kumyks, Azerbaijanis and Nogais make up 21%, and Russians 3.6%. Other ethnicities (e.g. Tats) each account for less than 0.4% of the total population. It should be noted that such groups as the Botlikh, the Andi, the Akhvakhs, the Tsez and about ten other groups were reclassified as Avars between the 1926 and 1939 censuses. The indigenous ethnicities of Dagestan in bold. There are also 40 or so tiny groups such as the Hinukh, numbering 439, or the Akhvakhs, who are members of a complex family of indigenous Caucasians. Notable are also the Hunzib or Khunzal people who live in only four towns in the interior. More than 30 local languages are commonly spoken, most belonging to the Northeast Caucasian language family. 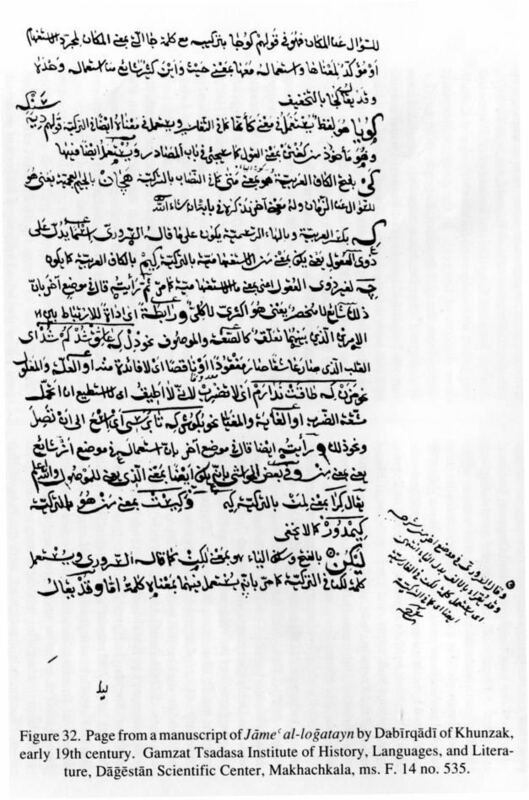 Russian became the principal lingua franca in Dagestan during the 20th century; prior to that, beginning in the 18th century, it had been Classical Arabic. The northern Avar dialect of Khunzakh has also served as a lingua franca in central Dagestan. Over 20 of Russia's 131 endangered languages as identified by UNESCO can be found in Dagestan. Most of these endangered languages have Dagestani speakers in the mountainous region on the Dagestan-Georgia border. According to a 2012 survey 83% of the population of Dagestan adheres to Islam, 2.4% to the Russian Orthodox Church, 2% to Caucasian folk religion and other native faiths, 1% are non-denominational Christians. In addition, 9% of the population declares to be "spiritual but not religious", 2% is atheist and 0.6% follows other religions or did not answer to the question. Dagestanis are largely Sunni Muslims, of the Shafii rites, that has been in place for centuries. On the Caspian coast, particularly in and around the port city of Derbent, the population (primarily made of the Azerbaijanis) is Shia. There is also a Salafi population, which is often a target of official repression. A relatively large number of native Tati speaking Jews, designated by the Soviet state censuses as the "Mountain Jews" were also present in this same coastal areas, but since 1991 and the collapse of the Soviet Union they have migrated to Israel and the United States. These were an extension of much larger Jewish community across the border in Azerbaijan (districts of Quba and Shamakhi). The appearance of Sufi mysticism in Dagestan dates back to the 14th century. The two Sufi tariqas that spread in the North Caucasus were the Naqshbandiya and the Qadiriya. The mystic Tariqas preached tolerance and coexistence between the diverse people in the region. The Communist total intolerance for any religion after the Communist Revolution of 1917 also suppressed the Sufi movements. Shaykh Said Afandi al-Chirkawi was a prominent scholar, spiritual leader and murshid of Naqshbandi and Shadhili tariqahs in Dagestan until his death. The number of Christians among the non-Slavic indigenous population is very low, with estimates between 2,000 and 2,500. Most of these are Pentecostal Christians from the Lak ethnicity. The largest congregation is Osanna Evangelical Christian Church (Pentecostal) in Makhachkala, with more than 1,000 members. The major industries in Dagestan include oil production, engineering, chemicals, machine building, textile manufacturing, food processing, and the timber. Oil deposits are located in the narrow coastal region. The Dagestani oil is of high quality, and is delivered to other regions. Dagestan's natural gas production goes mostly to satisfy local needs. Agriculture is varied and includes grain-farming, viticulture and wine-making, sheep-farming, and dairying. The engineering and metalworking industries own 20% of the republic's industrial production assets and employ 25% of all industrial workers. Dagestan's hydroelectric power industry is developing rapidly. There are five power plants on the Sulak River providing hydroelectric power. It has been estimated that Dagestan's total potential hydroelectric power resources are 4.4 billion kW. Dagestan has a well-developed transportation system. Railways connect the capital Makhachkala to Moscow, Astrakhan, and the Azerbaijani capital, Baku. The Moscow-Baku highway also passes through Dagestan, and there are air links with major cities. Conditions for economic development are favorable in Dagestan, but – as of 2006 – the republic's low starting level for a successful transition to market relations, in addition to rampant corruption, has made the region highly dependent on its underground economy and the subsidies coming from the central Russian government. Corruption in Dagestan is more severe than in other regions of the former Soviet Union, and is coupled with a flourishing black market and clan-based economic system. In 2011 Rostelecom started implementation of WDM-based equipment on the backbone network for data transmission in the Republic of Dagestan. Due to WDM introduction, the fiber-optic communication lines bandwidth increased to 2.5 Gbit/s. Rostelecom invested about 48 million rubles in the project. Since 2000, Dagestan has been the venue of a low-level guerrilla war, bleeding over from Chechnya; the fighting has claimed the lives of hundreds of federal servicemen and officials—mostly members of local police forces—as well as many Dagestani national rebels and civilians. On May 15, 2008, two MVD officers were killed and one police officer heavily wounded during an ambush on their vehicle in Gubden. On September 8, 2008, Abdul Madzhid and several rebels were killed in an ambush by Russian special forces. On October 21, 2008, rebels ambushed a Russian military truck, killing five soldiers and wounding nine others. On January 6, 2010, a suicide bomber attempted to blow up a police station in Makhachkala, killing six officers and wounding 14 others. On March 31, 2010, 12 people were killed and 18 wounded by two suicide bombings in the town of Kizlyar outside the offices of the local interior ministry and the FSB security agency. The second bomb went off twenty minutes after the first, as a crowd had gathered. In the early hours of the next morning two people died as a bomb went off in their car, apparently prematurely, near the village of Toturbiikala. On July 15, 2010, Pastor Artur Suleimanov, a Muslim convert to Christianity, was murdered by a gunman. The pastor was killed in his car as he was leaving the Hosanna House of Prayer in Makhachkala, Dagestan in the North Caucasus region, according to a religious persecution watchdog group, Voice of the Martyrs, report. Pastor Suleimanov's church is one of the largest Protestant churches in Dagestan. Christians in the Russian Republic of Dagestan, which borders Chechnya, face harassment and intimidation from various groups. Pastor Suleimanov's life had been threatened on several previous occasions. On September 23, 2011, Magomed Murtuzaliyev, a high-level law enforcement official, was shot and killed by gunmen. On September 28, 2011, 7 civilians and a police officer were killed by a car bomb in the village of Hajjalmakhi. On May 4, 2012, 12 people were killed in two separate explosions on the outskirts of Makhachkala, capital of Russia's Dagestan region. On August 28, 2012, Sheikh Said Afandi, an influential 75-year-old Sufi cleric, was killed along with six others in a suicide bombing. Afandi, a Sufi Muslim, opposed violent jihad in Dagestan. Abdusalam Gadisov – Freestyle Wrestling World Champion. Adam Saitiev (December 12, 1977, Khasavyurt, Dagestan ASSR) – Russia's freestyle wrestler, a Chechen, Russian Master of sports of international class, Honored Master of Sports of Russia (2000), three-time champion of Russia (1999, 2000, 2002), three-time champion Europe (1999, 2000, 2006), two-time world champion (1999, 2002), Olympic champion (2000). Ali Bagautinov – UFC fighter in the flyweight division. Combat Sambo World Champion. Bekkhan Goygereyev - wrestler who won the gold medal at the 2013 World Wrestling Championships. Buvaisar Saitiev (b. March 11, 1975 in Khasavyurt, Dagestan ASSR) – Russia's freestyle wrestler, three-time Olympic champion, six-time world champion, six-time European champion, five-time Russian champion, seven-time winner of the tournament Krasnoyarsk Ivan Yarygin winner Goodwill Games will. Honored Master of Sports of Russia (1995). Dzhabar Askerov - He is the World Muay Thai Council's Muay Thai Welterweight European Champion and K-1 MAX Scandinavia 2008 Tournament Finalist. Dzhamal Otarsultanov -won the gold medal in men's freestyle 55 kg at the 2012 London Olympics. Eduard Puterbrot (1940–1993) – Dagestan artist and member of the USSR Union of Artists. Gasret Aliev - Hero of Soviet Union. Gaydarbek Gaydarbekov - boxer of Avar heritage, who has won two Olympic medals in Middleweight including the gold medal at the 2004 games. Hizgil Avshalumov (1913–2001) – Soviet novelist, poet, playwright. Wrote in Mountain Jews (Juhuri) and Russian languages. Israel Tsvaygenbaum (b. 1961) – Russian-American artist. Khabib Nurmagomedov – UFC fighter in the lightweight division and the #1 Lightweight contender. Khadzhimurad Magomedov - Olympic gold medalist and two time world wrestling champion. Kuramagomed Kuramagomedov (b. 1978), freestyle wrestler who competed for Russia in the 2000 Summer Olympics, and won a world title in 1997. Magomed Ibragimhalilovich Ibragimov -He competed in the freestyle 85 kg competition at the 2000 Summer Olympics and won the bronze medal. Makhach Murtazaliev - Avar born-Russian Olympic wrestler who won the bronze medal for Russia at the 2004 Summer Olympics in Athens. Magomed Abdusalamov - is a Russian former heavyweight professional boxer who competed from 2008 to 2013. Magomedrasul Gazimagomedov - He won gold medal at the 2015 World Wrestling Championships at Men's freestyle 70 kg. Magomedkhan Aratsilov - former wrestler who competed in the 1980 Summer Olympics. Magomed Kurbanaliev - Avar Dagestani-born Russian freestyle wrestler. World freestyle wrestling champion 2016 in 70 kg. Magomed Magomedov - the professional WMC and IMF[clarification needed] Light Heavyweight World Muay Thai Champion. Mavlet Batirov - Avar descent freestyle wrestler, world and 2-time Olympic champion, who competed in the men's freestyle 55 kg category at the 2004 Summer Olympics and won the gold medal. Murad Umakhanov -Umakhanov competed at the 2000 Summer Olympics in Sydney where he received a gold medal in Freestyle wrestling. Mushail Mushailov (1941–2007) – a painter, a member of the USSR Union of Artists and Israel. Muslim Salikhov - The only non Chinese "King of sanda". Muslim Salikhov is often acknowledged as one of the best Wushu Sanda competitors in history. Nurmagomed Shanavazov - Shanavazov won the Light Heavyweight Silver medal at the 1988 Summer Olympics for the Soviet Union. Ramazan Şahin - Olympic Gold Medalist (2008), World Champion (2007) in Freestyle wrestling. Rashid Magomedov - UFC fighter in the lightweight division. Ruslan Magomedov - UFC fighter in the heavyweight division. Rasul Gamzatov (1923–2003) – Avar poet, writer, political activist. Rustam Khabilov – UFC fighter in the lightweight division. Combat Sambo World Champion. Sagid Murtazaliev - two time World champion, Olympic champion in Freestyle wrestling. Saypulla Absaidov - Olympic champion and World Champion 1981 in Freestyle wrestling. Sazhid Sazhidov - is an Avar Dagestani-born Russian Olympic wrestler who represented Russia at the world-level from 2003 to 2006. He won the bronze medal at the 2004 Athens Olympics. Shamil Zavurov - Combat Sambo World champion (3 time). Shirvani Muradov - wrestler, who has won a gold medal at the 2008 Summer Olympics and European champion 2007. Sergey Izgiyayev (1922–1972) – Mountain Jew Soviet poet, playwright and translator. Sultan Ibragimov- professional boxer held the WBO heavyweight title from 2007 to 2008. As an amateur he won silver medals at the 2000 Olympics and 2000 European Championships, and bronze at the 2001 World Championships, all in the heavyweight division. Tamara Musakhanova (1928–2014) – a sculptor and ceramist, a member of the USSR Union of Artists and Israel. Vazif Meylanov (1940–2015) – Soviet dissident and political prisoner, political activist. Yagutil Mishiev (b. 1927) – Honored Teacher of the Republic of Dagestan and the Russian Federation, publicist, author of books about the history of Derbent.